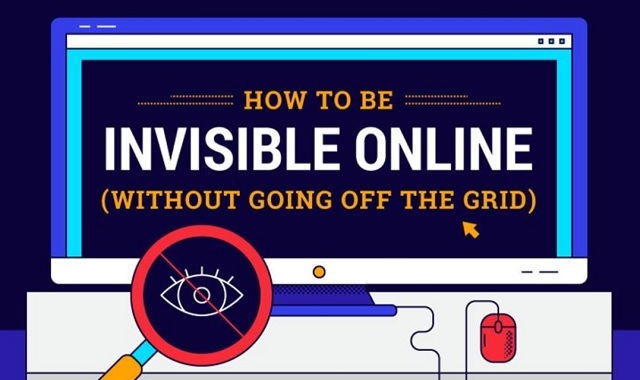 How to Be Invisible Online Without Going Off the Grid #infographic ~ Visualistan '+g+"
Worried about your data getting into the wrong hands? Uncomfortable with others being able to see your online activity? You're not being paranoid. Your data is being used for many purposes. And yet, for many of us, switching to encrypted emails and fully anonymous tools like Tor just seems too drastic. Without going off the grid completely, these tips are the best way to reduce the amount of information you share online.